p27: A Marker for Breast Cancer? 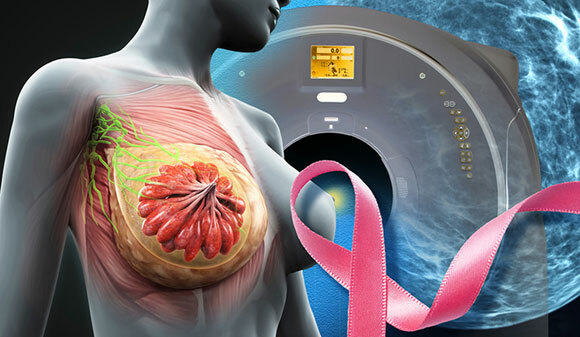 2 Comments on "MRI May Lead to Overdiagnosis of Cancer"
These researchers probably didn’t take in consideration the Lobular subtype of breast cancer, which is notoriously difficult to see in imaging and has a higher incidence of occurring in the opposite breast. My breast surgeon advised me of the risk of over diagnosis from MRI. She and I chose to use the procedure anyway. I disagree with the quote from Dr Gross in the article – “This early detection by MRI use and the associated treatments would increase women’s suffering and stress, but did not prevent advance diseases or improve health outcomes,”. My MRI did, in fact, reveal previously undetected cancer on the opposite side. But my “suffering and stress” were not increased by the finding. Having chosen bilateral mastectomy, I am freed from the stress of repeated mammograms, and biopsies. I am pleased with the surgical outcome and would certainly not describe the result as “suffering”. For me, the more aggressive treatment was a suffering and stress REDUCER. We can not know whether my opposite side cancer would have ever become “advanced”, but if it had, a second immersion in testing, surgery, and other treatments would have been actual “suffering and stress”. Dr. Gross and all cancer specialists should not assume their patients are identical in their tolerance and reactions. Patients should be informed but must be allowed to choose.